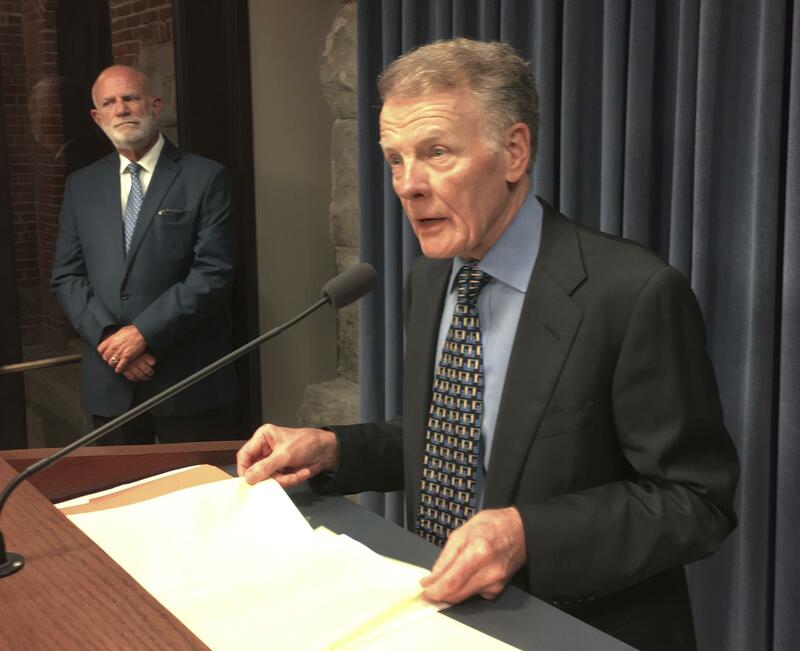 Illinois House Speaker Michael Madigan speaks at a news conference, Wednesday, Aug. 16, 2017 in Springfield, Ill. The House passed a compromise school funding measure Monday evening. 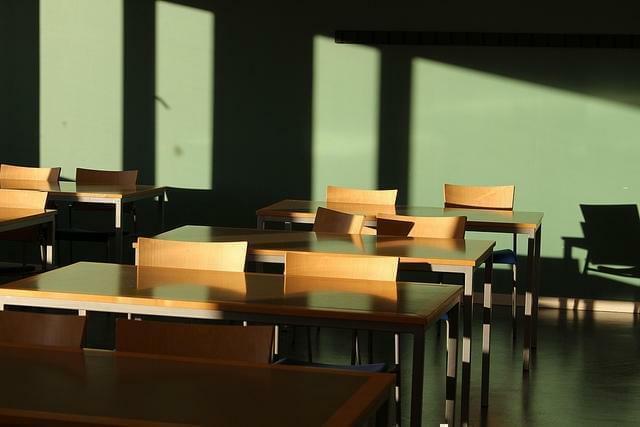 The Illinois House approved a new school funding plan Monday that will increase state money for all districts and provide $75 million in tax credits for people who donate to private school scholarships. Lawmakers voted 73-34 to send the legislation to the Senate, where a vote is expected Tuesday. Republican Gov. Bruce Rauner, who walked the floor of the House after the vote to thank lawmakers, is expected to support it. 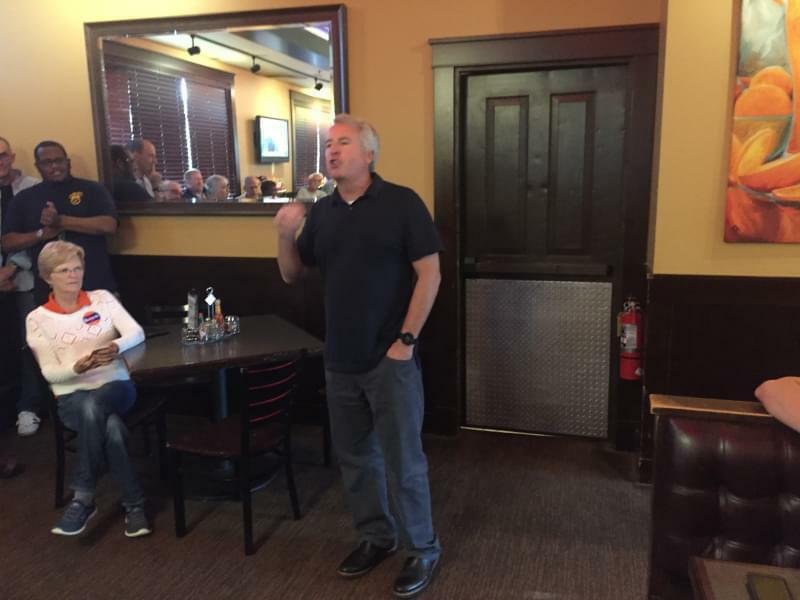 The evening vote came after the same measure was defeated earlier Monday largely because of objections to the tax credits raised by teacher unions. It also occurred minutes after lawmakers failed to override Rauner's changes to a separate plan preferred by the unions. Supporters said the measure they ultimately approved is imperfect, but that it will reduce huge funding disparities between wealthy and poor school districts. "Everybody wins in this conversation," said Democratic Rep. Will Davis, the bill's sponsor, who called the measure "historic." "Even with the tweaks of the compromise — the tax credit not withstanding — the rest of that bill represented things that we wanted to do, that we thought we should do, things that were important to do," Davis said. Legislators from both parties have said for years that the way Illinois distributes money to schools is unfair, but they've been unable to agree to a way to change it. A budget lawmakers approved last month required for the first time that the formula be changed. Representative Bob Pritchard, a Republican from Hinckley, says this school funding reform measure is one of the best things the Illinois House has done. "There's been a lot of successful bills that we've passed. We've helped veterans, we've dealt with the environment, with agriculture. But I think this will have the longest-lasting effect," he said. Nobody got everything they wanted, but almost everybody seemed happy when this compromise legislation got a favorable vote. Besides the private-school provision, Republicans added cost-saving options for PE and drivers ed, plus some property tax relief. 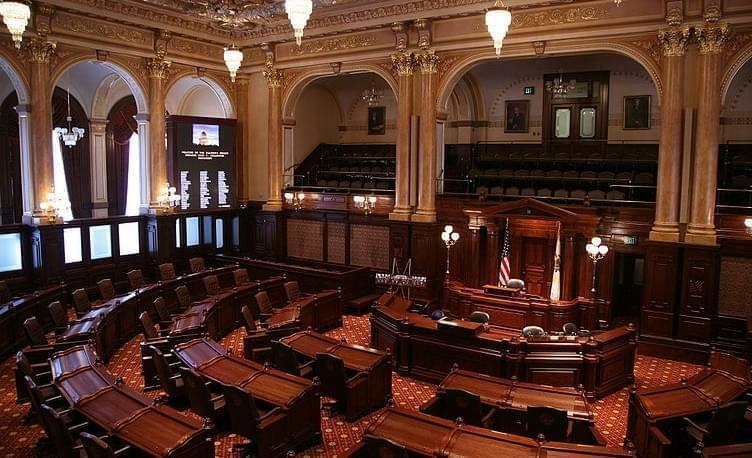 A new school funding plan won approval in the Illinois House. Without a new funding plan, more than 800 school districts won't get state money. School officials have said they will be able to open classrooms for the new school year, but many districts worry they will run out of money if the impasse isn't resolved soon. The plan approved Monday was hammered out by legislative leaders in closed-door meetings over recent days. It provides money for Chicago Public Schools pension costs and creates a $75 million tax credit program for people who donate to private school scholarships. Some of Illinois' largest teacher unions accused Rauner, who used his veto powers on an earlier school funding bill, of using students "as leverage for private school tax credits." 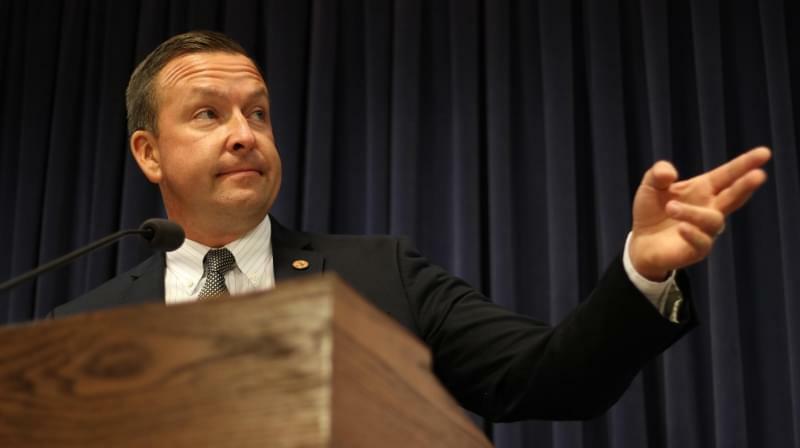 "Taxpayer dollars should be invested in our public school classrooms, plain and simple," Illinois Federation of Teachers President Dan Montgomery said. "The governor's proposal gives the wealthy another break while robbing our public schools of students and dollars." The new tax credit would be worth 75 percent of a taxpayer's annual contributions to a scholarship fund, with a maximum credit of $1 million annually. The money may be donated to a specific school or "subset" of schools, but not to a specific student. The credit is a five-year pilot program. Students receiving the scholarships must have a total household income of less than 300 percent of the federal poverty level, or about $73,000 annually for a family of four. Religious leaders, including Cardinal Blase Cupich of the Archdiocese of Chicago, have lobbied for the credit. Earlier this year, Democrats approved separate legislation that provided money to the state's neediest districts first, and that provided additional funding to districts that serve larger numbers of students in poverty or who are English-language learners. But Rauner used his veto authority to make changes to the legislation, saying it provided too much money to financially strapped Chicago Public Schools. The Illinois Senate voted to override Rauner's changes, with one Republican joining majority Democrats. After putting off a vote because of leaders' negotiations on a fresh deal, the House tried unsuccessfully late Monday to follow suit. The override required a three-fifths majority, or 71 yes votes. It received 63 yes votes.